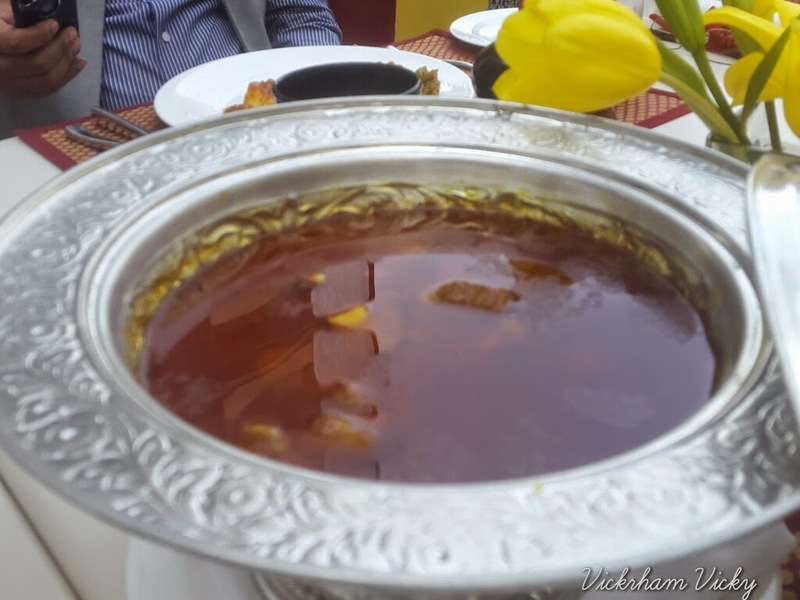 As part of the TWCI group, I was invited to the royal cuisine festival, Rivaayat-E-Rampur at threesixtyone, the award winning, all-day dining multi speciality cuisine restaurant at The Oberoi, Gurgaon. Multi cuisine speciality restaurant we are told, meaning that they have expert international masterchefs for each cuisine. This so as to ensure that the quality and consistency is taken care in detail. You can not expect but the best from The Oberoi’s. 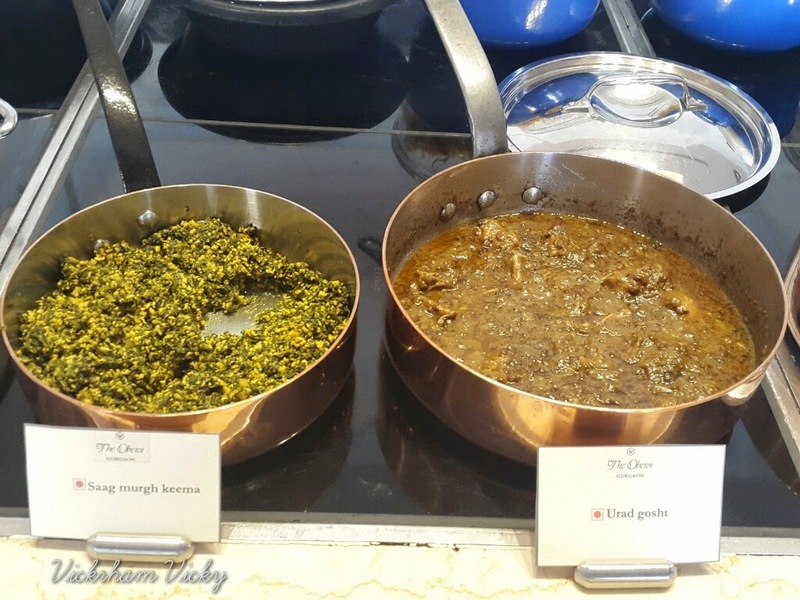 Earlier, The Oberoi group, leading chain of hotels in India known for always showing the way to other chains, launched Rivaayat – The Indian Culinary Conclave, which saw experts from across the industry come together for an interactive training sessions held at the Oberoi, Gurgaon. The Rivaayat-e-Rampur festival takes this unique culinary initiative forward. Celebrated food enthusiasts Osama Jalali and his mother Nazish Jalali unveiled rare recipes of the lost cuisine of Rampur. As soon as we entered the restaurant with my colleagues at TWCI, we were greeted by the lovely Communications person, Ms. Mallika Gowda, for company, I readied myself for a gastronomic evening —the restaurant has a warm ambiance with both indoor and outdoor seating which looks like an island of blue with two teakwood decks extend from the restaurant over the water body offering a unique dining experience. The place is well done and gives you a spacious feel where you can relax and have a great time. It’s probably one of the largest restaurant’s in the country. While we waited for Executive Chef Ravitej Nath to join us, we were welcomed by a (rose based drink). Soon, we were in the priviliged company of the master himself, Osama Jalali and his mother. Osama is a seasoned food critic and consultant, who contributes to The Hindu along with other publications. His mother Nazish Jalali explained why it was such a tough thing for her to share her recipe with other people. It was Mr. Jalali who convinced her that ‘knowledge increases by sharing’ and now through this initiative, the Rampuri cuisine will reach all over india. Osama also loves to work in the kitchen. He curates Awadhi, Rampuri, Shahjahani, Nizami menus with his mother for premium hotels and private Daawats. The menu for the evening started with appetisers, Osama made sure that he served us the best, and i can say that because he took utmost care to see for himself if there was anything missing from the selected Rampuri dishes that we were going to taste. We were blown away by his hospitality. The dishes are mostly made from desi ghee so it was a big task at hand for our palette. Rampuri cuisine is essentially a courtly cuisine. Known for its complex process and innovative creations, it has been till date one of the most evolved cuisine. Royal kitchens in Rampur were famous for using ingredients like lotus seeds, banana flower, khus ki jhad (Roots) and sandalwood to give the dishes a unique flavour. We were going to taste Rampuri rare recipes such as the Aloo gosht, Saag kofta , Taar Qorma and Hari Mirch ka Keema. We started with appetisers both veg and non vegetarian. 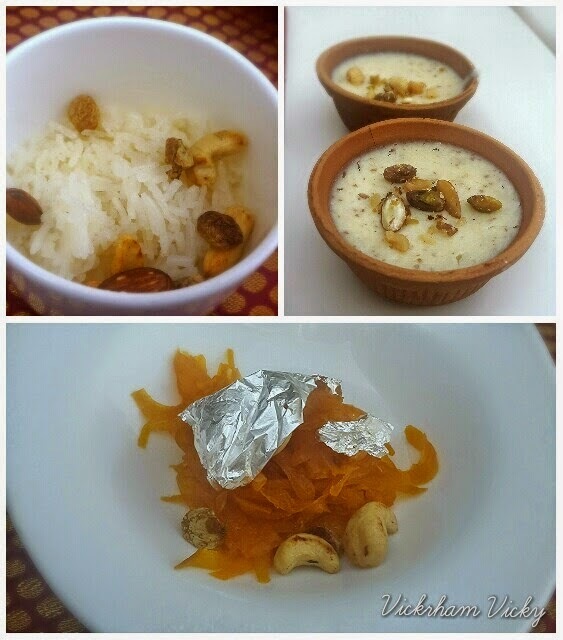 The Kathal ki shaami was something that was something different compared to the regular north Indian shaami. The kachche keeme ki tikiya was well prepared with good flavour and rich in taste. The main course consisted of Aloo Gosht, Khichda, Murg Korma, Urad Daal (safed), Karele ki chidiya. Being a pure non vegetarian, at first I was not trying the vegetarian items but this time I was curious to try everything as the feedback from the colleagues was amazing. I relished the Karele ki chidiya and Khichda which were out of the world. You have to taste it to believe it. I mean it had lot of ingredients and was a delight for foodies. Last but not the least, the Taar Korma, was the highlight of the evening and it very well cooked with lots of desi ghee flowing on top. It is a speciality and can be seen available in most weddings. We did not have any room for desserts. But when we saw the Gulathi, Aloo ka Zarda and Shahi Zarda, we could not say no and relished every bite. I have really tried my best to describe our experience but somethings need to be experienced and we highly recommend you to visit this food festival that is happening in Gurgaon as soon as you get a chance. Prices: Lunch buffet at INR 2595 + taxes per head. 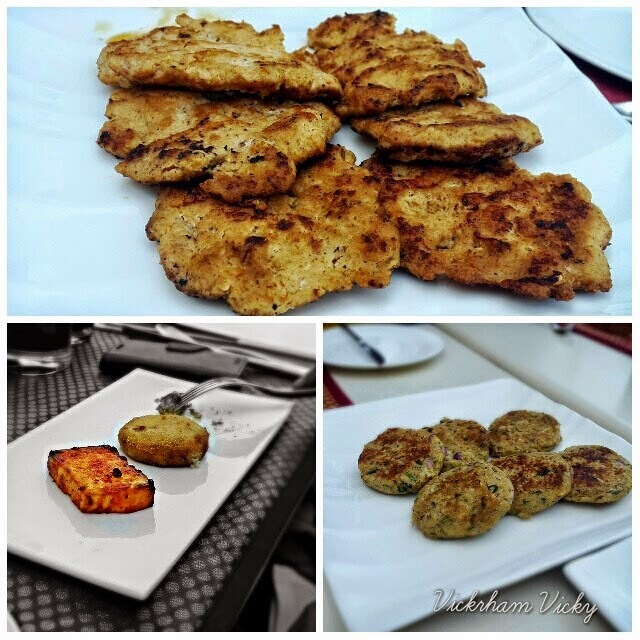 Dinner selection from a la carte menu at approximately INR 5500 + taxes for a meal for two.